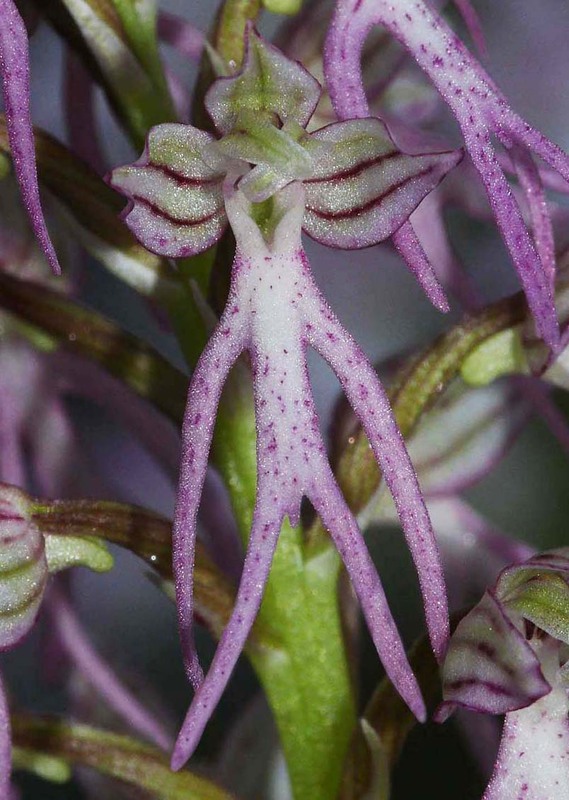 O. anthropophora was first described from France in 1753 and until recently had been placed in a genus of its own, Aceras. 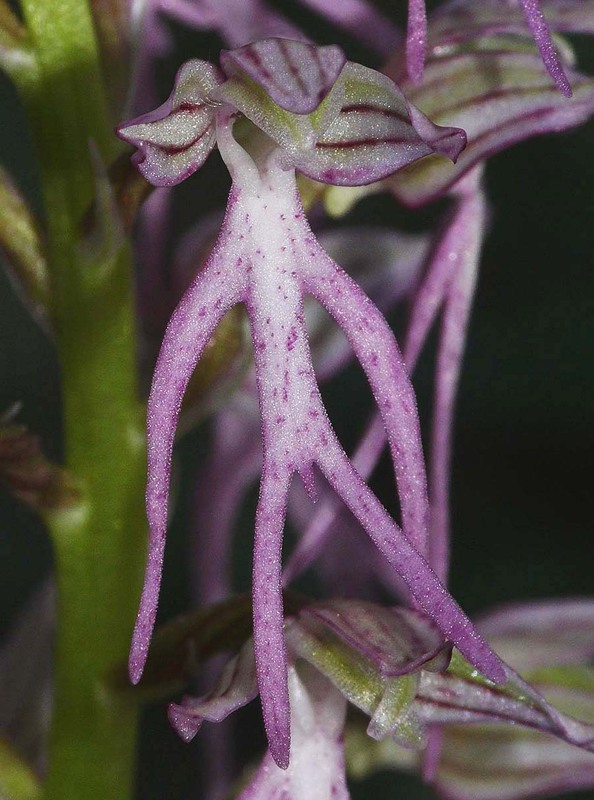 The primary reason for this isolation was cited as its lack of a spur but subsequent molecular studies revealed that despite this, it was definitely an Orchis and further, that it was very closely related to O. simia. 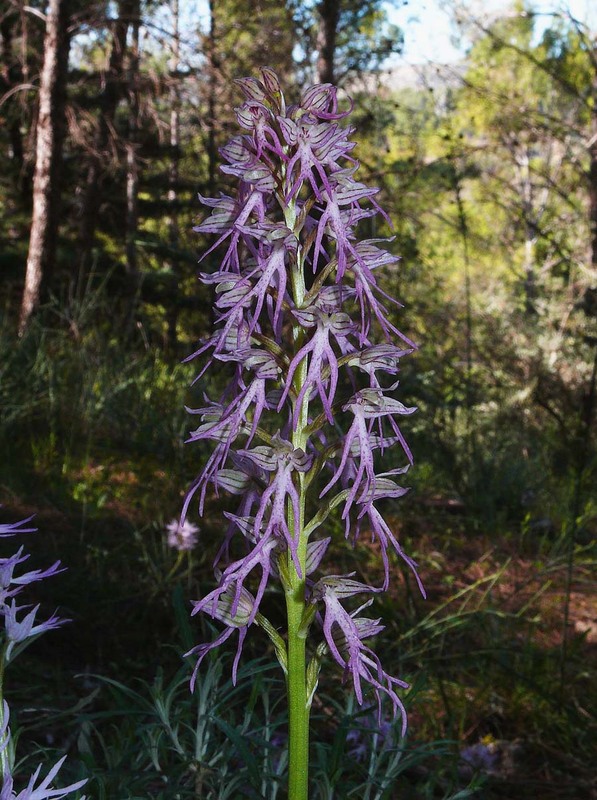 The frequency of hybridization with O. simia and O. militaris had already been noted and consequently the studies results really come as no great surprise to the majority of experts. 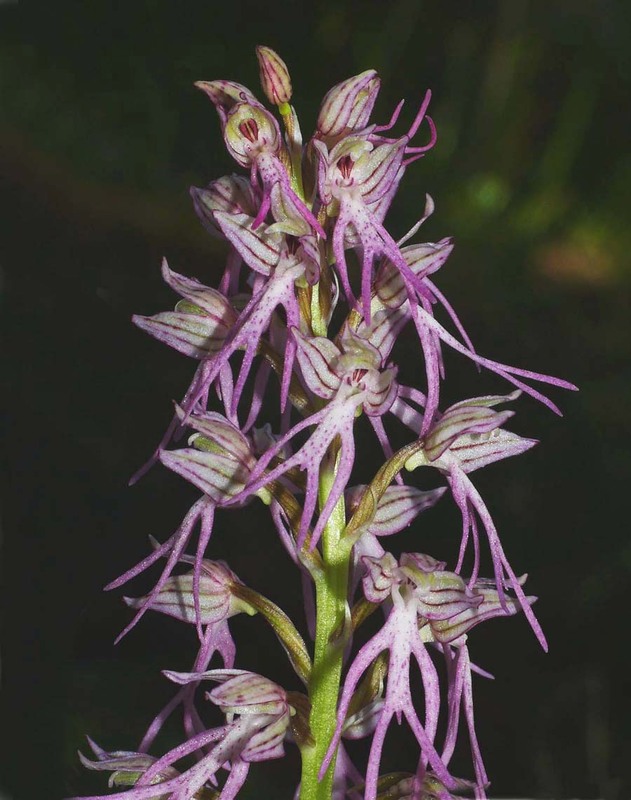 Man Orchid (as it has always been commonly known) is now reclassified within the eleven strong O. militaris group of Orchis. 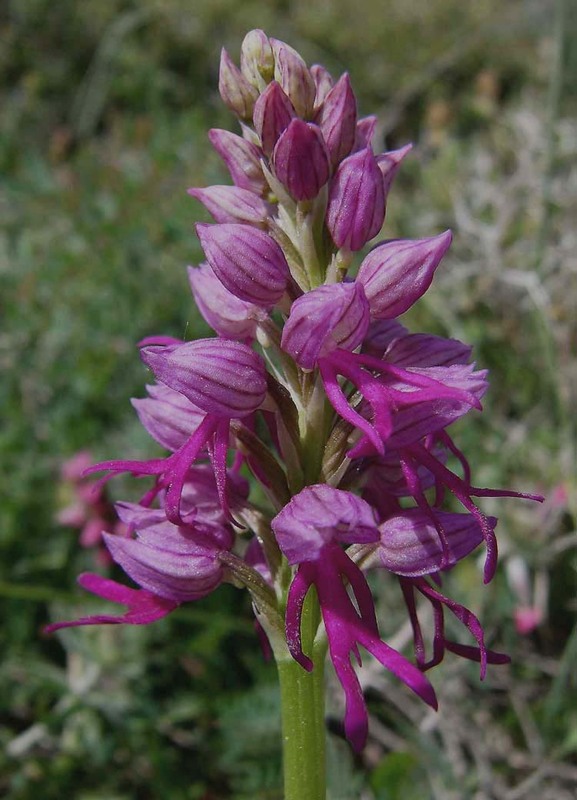 O. anthropophora has a widespread range from Britain and Northern France, through most of Europe down to North Africa and across to Syria in the east. It can be rare in some parts of this range but it's generally a common species without ever being abundant. Clearly the occurrence of hybridization is subject to the existence and numbers of suitable donors within its range and by far the most common unions are as already mentioned, with O. simia and O. militaris . 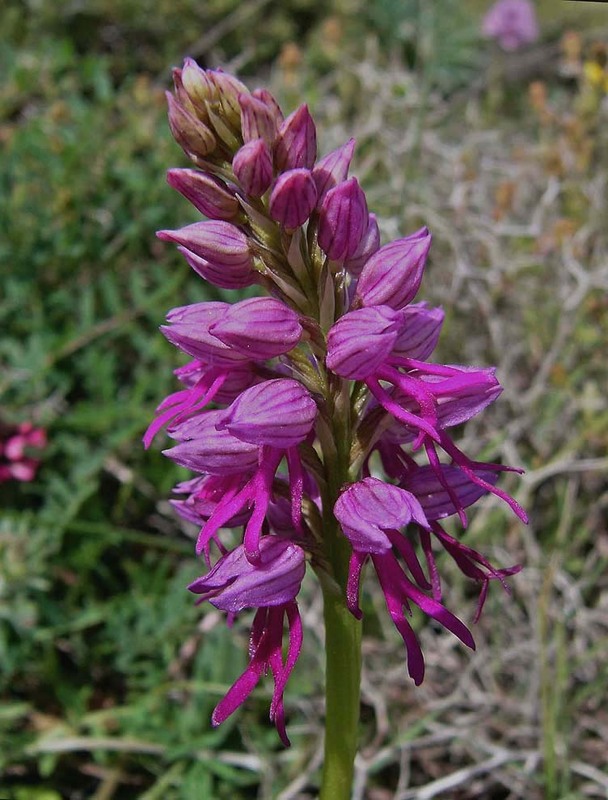 The pictures come from Crete (6 & 7) and Malaga Province, Spain (1 to 5) and they depict the result of hybridization between O. anthropophora and O. italica. As can be seen from these illustrations, the offspring of such gene sharing can be highly variable, though a common feature of both is the presence of an appendage between the lower secondary median lobes. 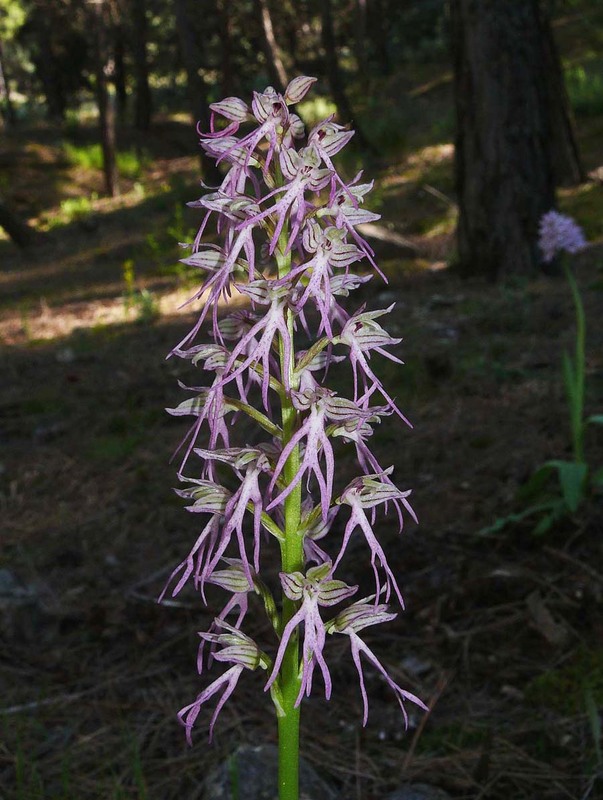 The pictures also serve to emphasize the tolerance of greatly differing habitats with the Cretan specimens growing in full sun and arid conditions , whilst the Spanish plants were growing in heavy shade amongst damp pinewoods.